Chances are, if you have spent any amount of time on the Internet in the last three months, you've read the buzz about Pinterest, a new content sharing service that allows members to pin images to virtual bulletin boards. 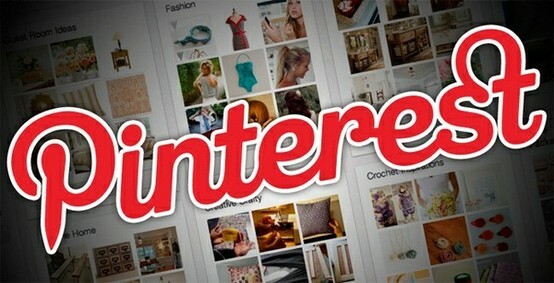 Pinterest has said that their mission is to "connect everyone in the world through the 'things' they find interesting." Crafters, hobbyists, and DIYers have dropped to their knees in reverence for the site, which allows them to learn more about their passions. Want to learn how to reupholster your Grandma's chaise? Pinterest will teach you. Need to find a recipe for Jalapeño Corn Chowder? Pinterest. Trying to figure out a more humane way of simulating fireflies in a jar? Pinterest!!! If you read my piece Confessions of a Seasonal Crafter you know that I am not the most artsy-crafty person. So, when my friend Megan sent me an invitation to join Pinterest, I didn't immediately click "accept." Then, one rainy day, I sat around pondering (It's one of my favorite rainy day activities - besides reading and munching), and I got to thinking about the various ways Pinterest could be used to help develop a writer's career. I joined Pinterest and have been madly pinning and promoting ever since! Today, I want to share some of my Pinterest Tips with my writer friends. Pinterest is a great site for researching setting details, plot points, and character traits. Writers are artists, and as such, we respond to visual stimuli. Pinterest allows writers to easily collect (pin) images of faces and places we hope to write about. We can also learn more about our characters' professions and hobbies. Writing about a woodworker? Pinterest has thousands of pins about the craft of woodworking (and hundreds of other professions and hobbies). I have a board called Inspiration for Writing to which I pin any image that stirs my imagination - castle ruins, misty gardens, eighteenth century manor homes, fencing stances, handsome men. Writers can use Pinterest to collect the visual stimuli that fosters creativity. Pinterest allows a person to connect with others who share their passions. It's no secret, I love Eighteenth Century France. Pinterest has allowed me to connect with hundreds of people around the world who also nurture a fanaticism for that time period. I use Pinterest to market my writing. How? Simple! First, I create boards about my novels and my passions, then I fill the boards with pins from my blogs. For instance, one of my boards is J'adore 18th Century France. Using the handy Pin It! toolbar tool, I pin all of the images from my blog pieces to my boards. 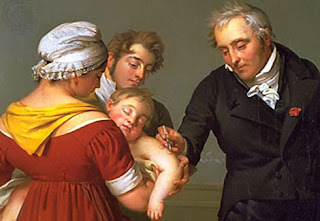 Yesterday, I wrote a piece about Marie Antoinette and Smallpox. I pinned the images from that piece to my J'adore 18th Century France board. Finally, I link all images back to my blog Titillating Tidbits About the Life and Times of Marie Antoinette. I know what you are saying, "But Leah, what if I don't have two blogs and Twitter accounts to promote?" No problem! 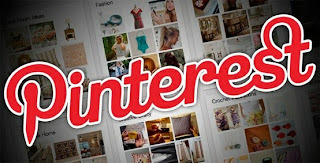 You can still use Pinterest to market your books and articles. Create boards that allow you to link to your works (Possible Board Title: Books I Have Written, Images That Inspired My Novel). I have a board titled Scenes From My Novel, Silence in the Mist. I pinned images that evoke scenes from the novel and images that inspired my writing. This allows my readers to see what I saw when I created my fictional world. I post brief descriptions of the images as they relate to my novel. 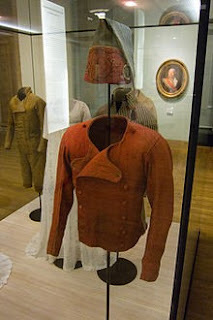 For instance, for the above image I wrote: This is a uniform that was once worn by a French Revolutionary Guard. In my novel, Silence in the Mist, guards wearing just such a uniform - including the bonnet rouge - taunt my heroine before she is brutally tortured by the villain, General Lazare Hoche. 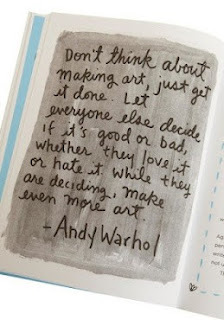 I hope this piece has encouraged you to use Pinterest to market your book and spark your creativity. If you think of new ways to use the site, share them here, won't you? **Suggestion for the overly-modest: If you don't feel comfortable promoting your own books on Pinterest, why not ask a friend to start one? You can also start a board and choose the option that allows multiple people to pin things on it. Then, ask other writer friends to join and post their favorite books. I never thought of using Pinterest to promote my writing. You are bloody brilliant! Unfortunately (?!? ;)) it has! Great piece. I should pin it! Now, if I can just figure out how to use the site, I will have even less time to write. . . but OH how I LOVE the idea! Oh my gosh, I've never though about this until I read this article! thank you so much for posting this. it's a great website where you can submit your favorite pins from pinterest. What a wonderful tip for writers, well done. I do so love "seeing" after reading a wonderful novel. Visualizing the clothing on your Pinterest page after reading your novel "Silence in the Mist" (which deserves to be highly recommended to everyone who enjoys a great read, made the story and era even more fascinating to me. Thanks Kat! I will check it out!! Thank you Stéphanie! I am so glad you liked my novel! Love!